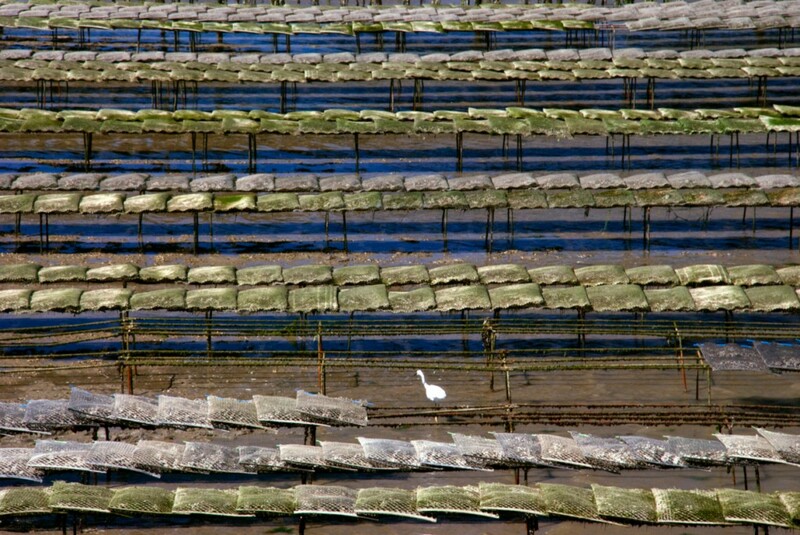 OCEAN71 Magazine tries to understand why oysters are particularly at risk into the Arcachon bay, in France. 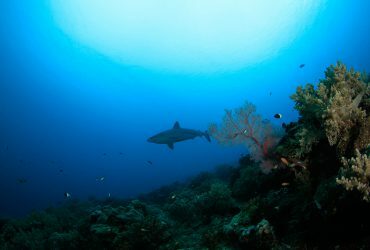 The scientists are studying the case, while all sorts of pollutions, mostly caused by human activities, seem to be responsible. And what if man was responsible ? The toxins contained in the dinophysis micro-alga concentrate in the organ of the oyster that most ressemble the human liver: the hepatopancreas. It is from this organ that the Ifremer extracts potentially toxic residue. Obtaining a significant dose requires the hepatopancreas of 2.5 kilos of oysters. Once this substance extracted and dried, it is diluted in one milliliter of water. Next step, the liquid is injected to three mice prepared every week for the biological test. After 24 hours, the research team takes toll: if at least two mice have died, the ban on oyster is issued. The Ifremer team also injects another set of three mice with a solution which does not contain the toxin. The mice must survive for the results to be considered valid. What the oyster farmers have against this test —chosen and imposed by European authorities— is that it is not backed by a chemical test which would confirm the empirical testing. In 2006, a mouse died eventhough chemical analysis had detected no trace of dinophysis. 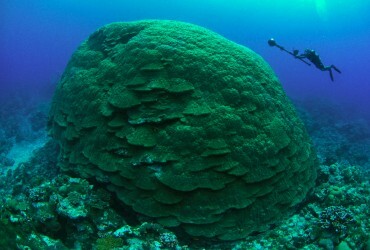 The Ifremer specialists reply that all the sub-species of the micro-alga are not known yet. This genealogical aspect would prevent any reliable chemical test at the moment. Waiting for the day, the Ifremer proceeds to multiple water analyses every week to better understand this cumbersome although microsopic parasite. The other reproach the oyster farmers have to make rests on the fluid injected in the mouse. 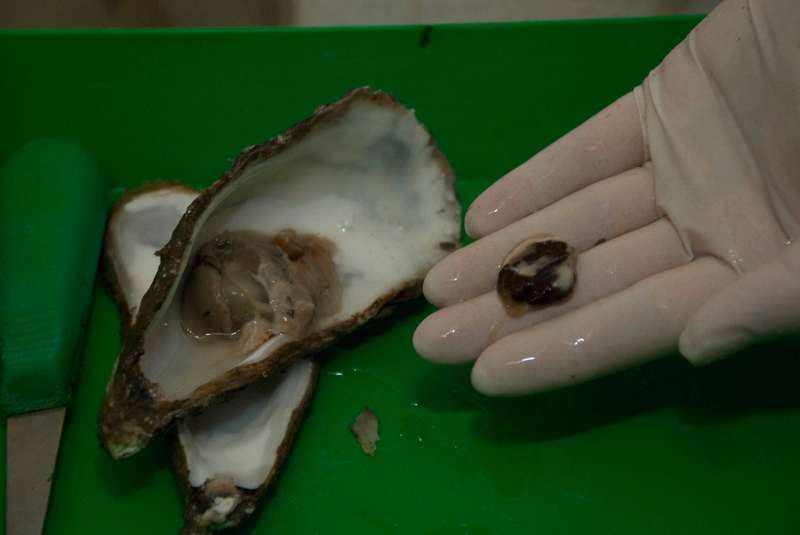 The animal (which weighs an average 20 grams) receives a dose obtained from 800 grams of oysters! In an 80-kilo person it would amount to a potentially toxic residue extracted from 3,300 kilos of shell-fish! Unreasonable density which could lead to the animal’s death for other reasons than the presence of dinophysis. But every time the health authorities respond with the « precaution principle ». The mouse test is considered conclusive in 24 hours as chemical analyses require ten days. 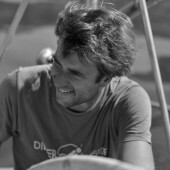 A leitmotiv which now threatens the employment of over 1,500 persons in the Bassin d’Arcachon and 17,000 in France. 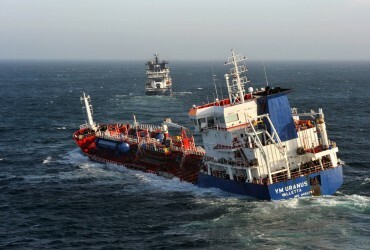 The chemical tanker, YM Uranus, was hit by the bulk freighter Hanjin Richzad at the tip of the Brittany coast. OCEAN71 Magazine journalists found the crippled ship while it was towed. Exclusive images.